You’ve probably seen kids, hobbyists and amateur photographers using drone technology for fun, but drone solutions have a great deal more potential than an afternoon’s worth of entertainment. These small, unmanned aerial vehicles are useful for a wide range of applications, from logistics to manufacturing. For example, e-commerce giant Amazon is currently testing Amazon Prime Air, which will deliver packages to customers via drones. Although it sounds like something from a science fiction movie, the idea has captured the imagination of the media, consumers and corporate executives. At Domtar, we recently started using drone solutions at our Ashdown Mill in Arkansas. 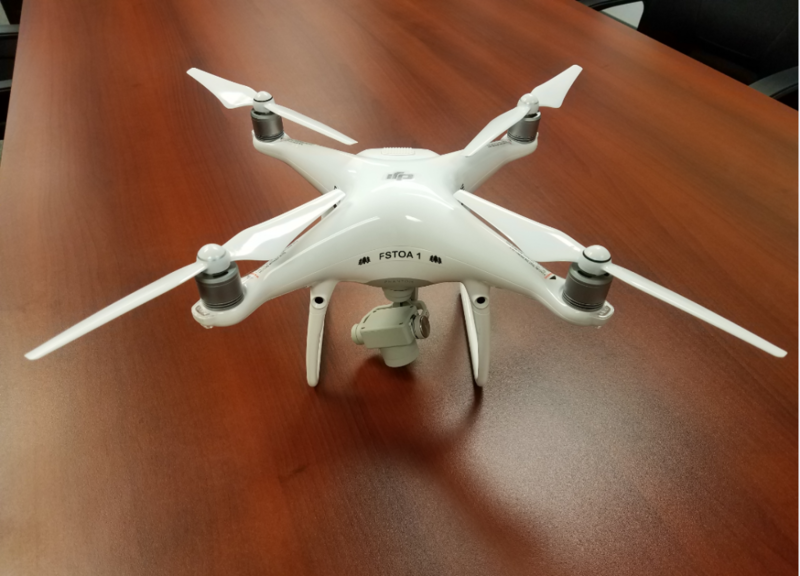 Domtar’s Ashdown Mill uses two DJI Phantom 4 Pro Drones to aid in its forestry operations. Doug Teale is the sustainability manager at the Ashdown Mill, which produces uncoated paper and premium fluff pulp used in products such as diapers. Teale first learned about drone solutions at a 2015 forestry conference, and he knew immediately that drones could make Domtar’s work faster, safer and more efficient. Here are three ways drone solutions are changing forestry. Ashdown Mill began using drones 2016. Today, Domtar colleagues use two drones to monitor local forests for diseased trees or invasive species. The ips beetle, also known as the engraver beetle, is a common pest that can burrow under bark and tunnel through pine and spruce trees, causing severe damage. Using drone solutions, foresters can quickly check for infestations. What used to take half a day is now accomplished in just 20 minutes. 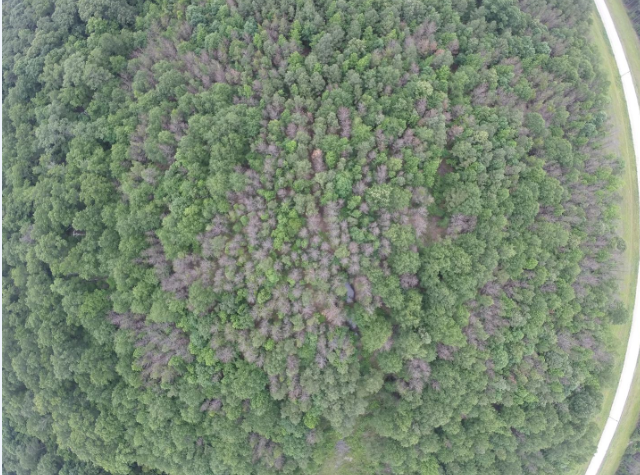 Flying above the forest canopy, drones can easily spot disease and infestations, like this damage done by the ips beetle. Drones also improve the speed and accuracy of inventory calculations at Ashdown Mill. 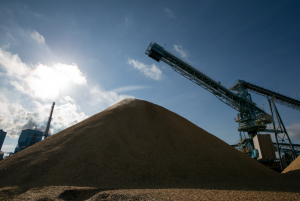 Our mills produce massive wood chip piles, which eventually become paper or a range of personal care products. Previously, survey crews required half a day or longer to measure chip piles for volume. 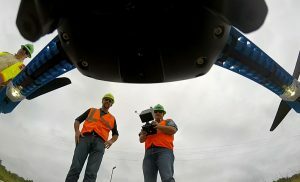 Now, drones take photos of the piles, and those photos are downloaded to a computer and analyzed. The process takes just 30 minutes and is exceptionally accurate. Drones can photograph wood chip piles and download images to a computer for analysis. 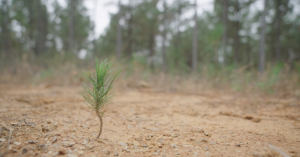 Seedling survival is critical to ensuring the next generation of trees creates a healthy ecosystem. In the past, it took foresters several hours to walk a forest floor to check on recently planted trees and record data about survival rates and coverage. Today, drone solutions capture images that the mill’s forestry team can use to make those same observations within minutes. Drones can also monitor harvests to ensure the use of responsible forestry techniques. 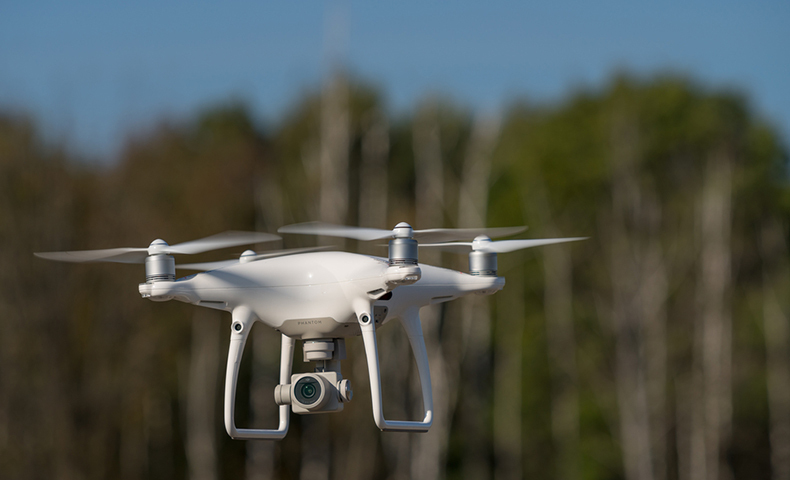 Foresters can use drones to monitor new crops and ensure a higher survival rate for seedlings. Commercial drone solutions offer tremendous value to our business. Drones are relatively inexpensive, and they save time. They can also improve accuracy, while safeguarding our colleagues from some of the dangers inherent in forestry. Other Domtar facilities, such as our Windsor, Quebec mill, have adopted drone solutions, and we are looking at ways to introduce the technology throughout our business. “The possibilities are endless,” Teale says. View footage from the drones used at Ashdown, and learn more about how they’re used.